Pippin Ain't Easy, but it sure is fun. This unique and diverse cider pays homage to two varietals of pippin apples. Staying true to Stowe Cider’s mission of bringing something different to the cider scene this design mixes traditional Victorian influences with the Super Fly flash of the '70s. 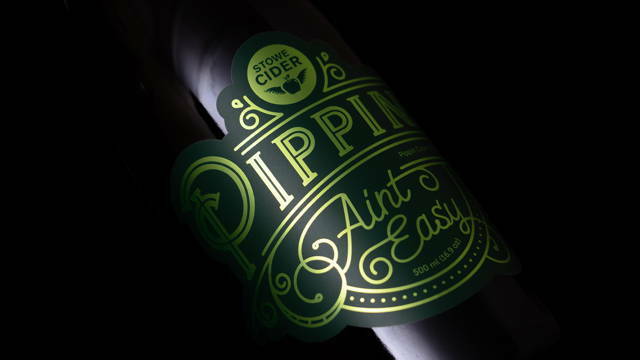 Pippin Ain't Easy was created to be a serious dry cider for not so serious people.